We recommend you use a RazorPit blade sharpener to extend the life of your blades (up to 150 shaves from one blade). A sharp blade is essential for a comfortable, close shave. 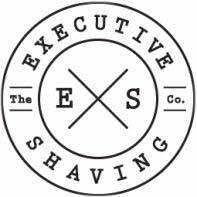 The razor features the Executive Shaving logo a benchmark of quality. For best results use with the RazorPit blade sharpener. This Mach 3 Compatible Shaving Razor is finished in traditional faux horn and is presented in a plastic, protective box which is handy if you take your razor on your travels. After applying a pre shave treatment and your shaving soap, cream or gel to your face, dip the razor into warm water and begin to shave. We recommend that you shave twice with the grain and once against the grain. To prolong the life of your Mach3 razor heads, we recommend using the Razorpit Blade Sharpener to clean and sharpen your razor head after each use, significantly prolonging the quality of the blades and ultimately saving you money! High grade acrylic and chrome plated metal alloy.